It's been a while since we had a plain and simple swatch post! So today we're keeping it short and sweet and taking a look at the gorgeous OPI First Class Desires from the 2014 Gwen Stefani Holiday Collection. Not just glitters, those are tiny flakies! Ahhhh! And flakies are one of my weaknesses! There is obviously gold in the glittery flakies but there's a hint of greens and golds and coppers and pinks in the right light... I can't tell if the flakies have a hint of iridescent multichrome in them or if that's just the result of the slightly crelly-ish base, but either way the results is gorgeous. This polish also had great coverage - pictured here is two coats without top coat. I'm thinking this is one I want to try stamping with in the future! Overall super happy with this purchase (as though you couldn't tell haha). It's amazing how macros can change your perspective of a polish in a blink! So happy! 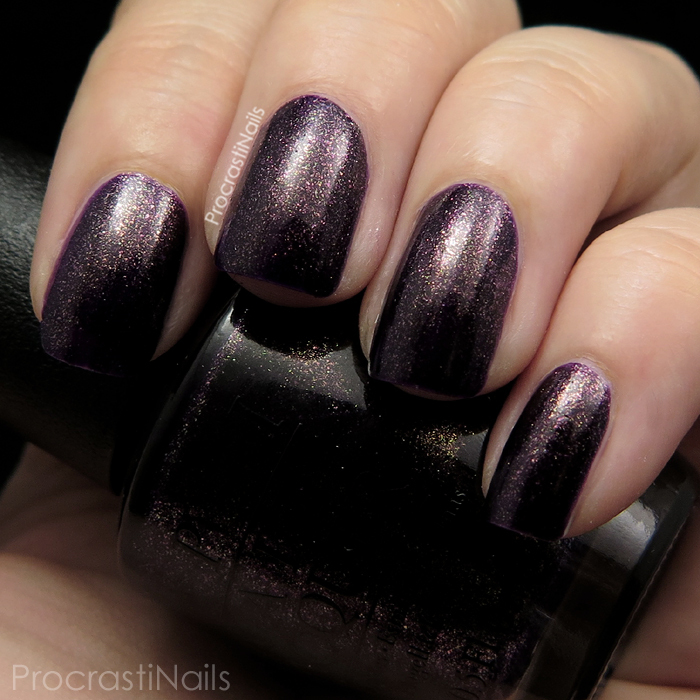 Is this a polish you have in your collection? Do you love it as much as I (now) do? So pretty! It reminds me a lot of DS Mystery. I forgot how beautiful this color is! Now I need to get it back out! This shade is GORGEOUS! Pulling it out asap! HELLO GORGEOUS! I never got anything from this collection but that might need to change ;-). That's a gorgeous shade for sure! Wow, I had no idea this polish was so beautiful. To think I have had it in my untried pile for months! I adore this shade! Your photos are gorgeous as always! 30 Days of Colour June Challenge!